It doesn’t happen very often, but The Blot is more excited about the packaging of this San Diego Comic-Con exclusive than the figure itself. 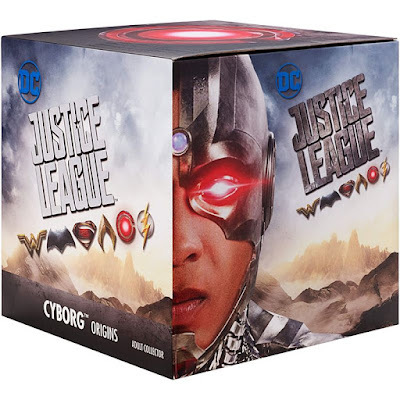 That’s because Mattel’s upcoming SDCC 2017 Exclusive Justice League Movie Cyborg Origins action figure comes packaged in a Mother Box straight from New Genesis! All you fans of Jack Kirby’s New Gods know exactly why this is so awesome. 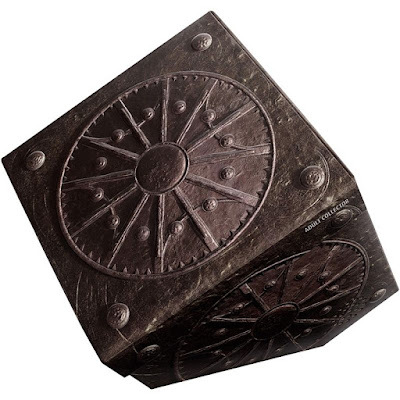 You see, in the upcoming Justice League movie, Dr. Silas Stone saves his son Victor with a mysterious Mother Box, which transforms him into the DC super hero known as Cyborg. The San Diego Comic-Con 2017 Exclusive Justice League Movie Cyborg Origins Action Figure stands 6” tall, and is packaged to look like this highly detailed deluxe figure is suspended in Man’s World styled Mother Box packaging. 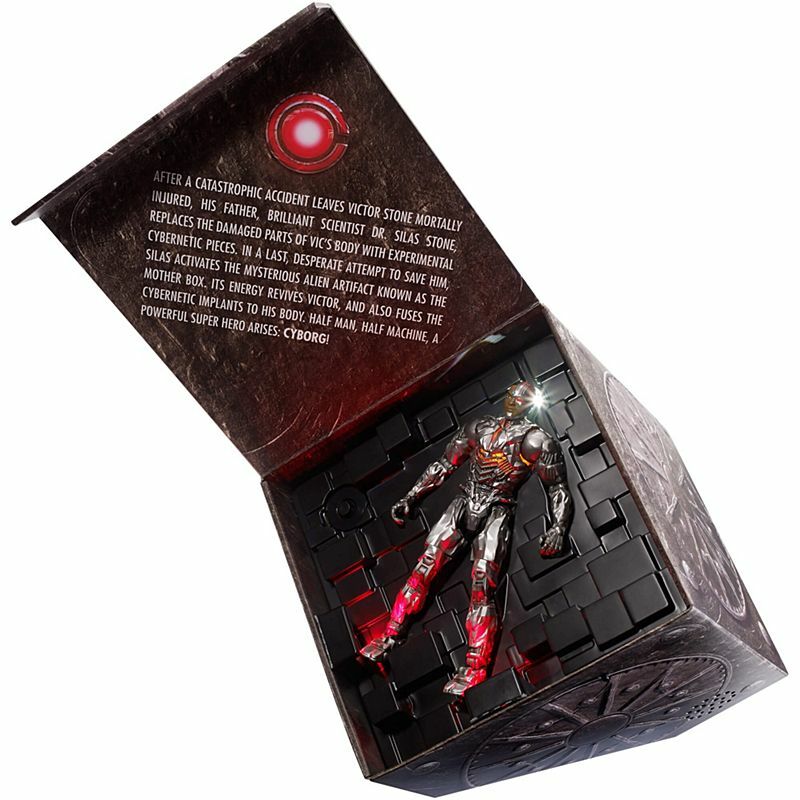 There is also a button at the base of the packaging that when pushed lights up the action figure’s torso and left eye in red LED. Authentic lab tech sounds play as the lights flash, symbolizing the Mother Box becoming active and Victor Stone transforming into Cyborg! This figure features 20 points of articulation, as well as an updated silver colored power suit, iconic White Noise Cannon arms and a translucent mask and chest to recreate authentic on screen action. Fans can pre-order the San Diego Comic-Con 2017 Exclusive Justice League Movie Cyborg Origins Action Figure now for $25 at the Mattel online store for pick up at their SDCC booth next month.